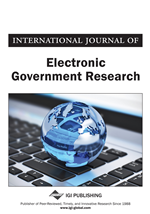 Successful e-government requires planning and unrelenting political commitment and should not focus solely on technological solutions. In the Arab world, citizens receive most of their services from government agencies which are highly bureaucratic in nature; wasting work days confronting employees who are rarely trained in customer service or reprimanded for inefficient work. Between the year 2000-2007, Internet usage worldwide has grown 265.6% while in the Middle East, the growth was 920.2 % and its egovernment readiness rose to higher than the world average of 0.4514. Studies on worldwide e-municipal Web sites, most Arab cities have been clearly absent. In this study an evaluation checklist for municipal Web sites was used to evaluate the only six Arab capitals with official municipal Web sites. The study found that these Web sites were not citizen centered, suffered from fundamental problems, lack basic requirements for any municipal Web site with some feature inoperable and limited interactive services.